July is scorching and humid throughout most of China — it&apos;s the hottest month. In some places, it is also the rainiest month. The busiest travel time in China begins in July, extending to early October, when the top attractions are crowded with many Chinese tour groups. Read on to find out how China&apos;s July climate affects tourism and take advantage of our travel suggestions. Evening clothing: Wear the same type of cool and breathable clothing that you wear in the daytime. Tourism: Popular attractions will be crowded by tour groups. July is the beginning of China&apos;s summer holiday, which lasts for about two months. 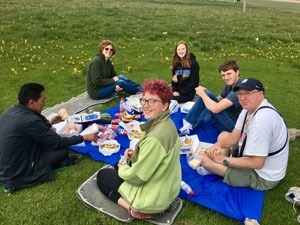 Schools and universities go on vacation in July, so there is a great increase in the number of school group tours and students touring around the country. China Highlights&apos; customers having happy family time at the Yellow Mountains in July. However, it&apos;s a good time for families to travel in July. Many customers plan their family tours during their children&apos;s summer holidays. You don&apos;t need to pack as much luggage as in winter time, so the packing is easier and less bulky. 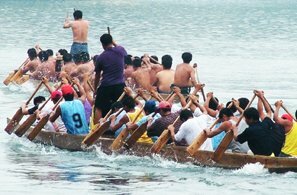 There are more things to do, from sunny mountain hiking to open-air boating. It&apos;s the best time to see the green scenery of hills and grasslands. When planning your tour, you are recommended to arrange outdoor activities in the morning and late afternoon and visit indoor places that offer air-conditioning in the middle of the day. Also, don&apos;t fully schedule each day to allow flexibility in case unexpected rain upsets your plans. Our recommendations for July include less-crowded, beautiful, and exotic places in China. Read more about the Top 5 Places to Visit in China in July. North China is hot and rainy in July, with July and August being the rainiest months. Avoid the afternoon thunderstorms. In Beijing, the average temperature is 22–31°C (72–88°F) and there are typically 14 days (179 mm, 7 in) of rain in July. There is light pollution. The Mutianyu Great Wall is quiet even in the peak travel season of July. Visiting the Great Wall could be challenging in the hot temperature but it&apos;s doable if you avoid the strong sunlight in the middle of the day. The summer scenery around the Great Wall is beautiful, with green trees and less fog than at other times. As it&apos;s the peak season in July and August, you are recommended to visit the Great Wall sections at Mutianyu, Simatai, and Gubeikou. In Xi&apos;an, the high humidity makes the city feel sweltering so it is called a "furnace city". You can visit the museums if the weather is too hot or rainy. East China also experiences its highest yearly temperatures but, unlike much of China, the rainfall slackens. 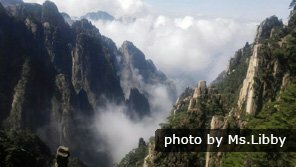 It is a good time to visit mountains, such as the Yellow Mountains, where it is cooler. In hot Shanghai, there is much less rainfall than in June or August. Most of the rain falls in early July. Shanghai averages 25–32°C (77–90°F) with typically 13 days (138 mm, 5 in) of rain in July. Eastern cities, such as Suzhou, Hangzhou, and Nanjing, are similar. Mountainous areas, such as the Yellow Mountains, will have a cooler temperature, averaging 17–22°C (63–72°F). 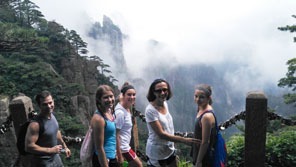 The Yellow Mountains (Huangshan) are a good place to avoid the summer heat experienced in the cities. The area will be quite crowded in July. After a hiking tour on the mountains, you can descend to visit the ancient villages. This area of China, around the Yangtze River, has its hottest days in July and August, and the rainfall is heavy. The area is sweltering. 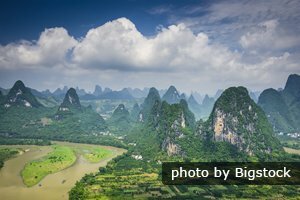 The mountains around Wulingyuan in Zhangjiajie feel cooler and are good places to go in hot weather. Zhangjiajie&apos;s average temperature ranges from 25–34°C (77–93°F) with typically 14 days (209 mm, 8 in) of rain in July. 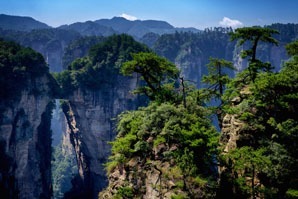 Mountainous areas are always good destinations to avoid the summer heat, so Zhangjiajie is an ideal place to visit. Zhangjiajie National Forest Park and Tianmen Mountain are cool during the summer months when the natural scenery flourishes. South China is hot and humid in July — be prepared for the tropical weather. Sometimes, typhoons will bring heavy rain to South China. Guilin averages 26–33°C (79–91°F) with typically 16 days (201 mm, 8 in) of rain in July. Temperatures in cities further south, such as Guangzhou and Hong Kong, are higher still. 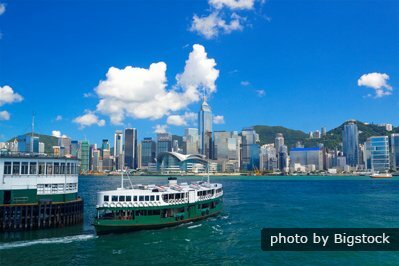 Hong Kong is hot and rainy, and there are occasional downpours or tropical storms. Summer is a good season to do water sports. 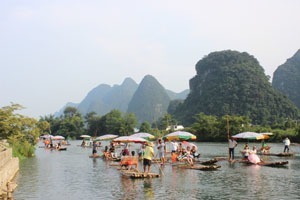 Taking a bamboo boat trip or a cruise on the Li River is fun. However, if there is a flood or typhoon, the activities will be stopped. You can also visit the karst caves, which have cool temperatures inside. West China will have a better climate in July for traveling. The mountains and valleys of Yunnan Province and Sichuan Province benefit from pleasant weather — it is cool or warm depending on the altitude. Tibet has more comfortable weather in July than other areas. Lhasa averages 12–22°C (54–72°F) with typically 23 days (77 mm, 3 in) of rain in July. Clothing: T-shirts, shirts, shorts, or jeans are fine to wear. Take some rain gear too. For Lhasa, dress in layers and take your coat and sunglasses. 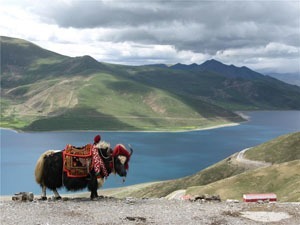 With the high altitude, Tibet has a cooler temperature than other areas, which makes it an ideal destination to travel to in July. July is an ideal time to tour the Silk Road as the weather is sunny with little rainfall. The low humidity makes it feel cooler in Urumqi. 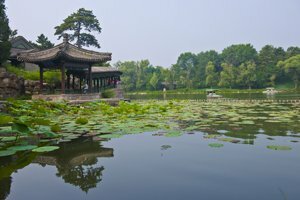 Planning a China trip in July? Having cool transport, restaurants, and hotels provides welcome relief. 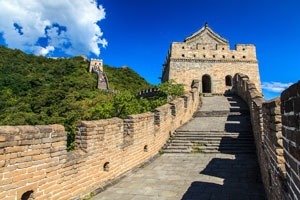 Discover China with China Highlights and we&apos;ll keep you cool, doing our best to ensure that you have a comfortable experience despite the heat. Our travel advisors are happy to give you suggestions and guidance when planning your trip. If you are interested in touring China in July, contact us for help. 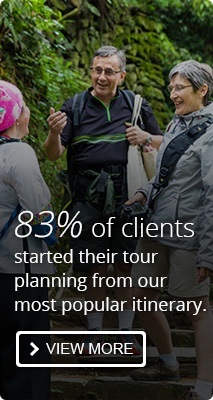 Let us help you plan a personalized July tour. For more suggestions and tips on a China trip, please see How to Plan Your First Trip to China.